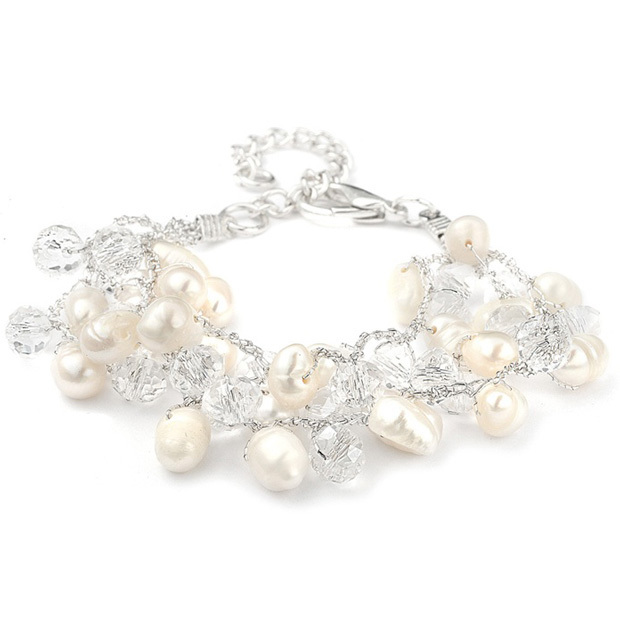 * Mariell's lovely wholesale bridal bracelet with genuine freshwater pearls and Austrian crystals is perfect beach or destination wedding jewelry. * Mariell's unique 3-strand bridal bracelet features genuine freshwater pearls with Austrian crystal oval faceted beads. * This semi-precious bracelet boasts delicate hand crafted silk thread creating a one-of-a-kind bridal bracelet. * This adjustable 6" - 8" bracelet is perfect for your beach or destination wedding. * This glistening bracelet has a beautiful coordinating necklace style 3132N and matching earrings style 3132E sold separately.